Livestock handling – we use a low stress system, no dogs, no hurry, and the animals follow us. There are always a few reluctant animals, more interested in grazing than moving, but we walk calmly behind them, rather than chasing, and they catch up with the rest of the flock which are following someone up in front. We will not take animals to saleyards, which are a stressful environment and require extra trucking (to and from the yards). We sell our cattle and sheep directly to an abattoir We use a trucking company that we trust, with drivers who appreciate a low stress approach to handling animals. Adequate nutrition – our animals are never stressed by hunger, you will often see them sitting down ’chewing the cud’, as opposed to hungry animals that spend the day grazing on almost bare paddocks, constantly on the move looking for more feed. 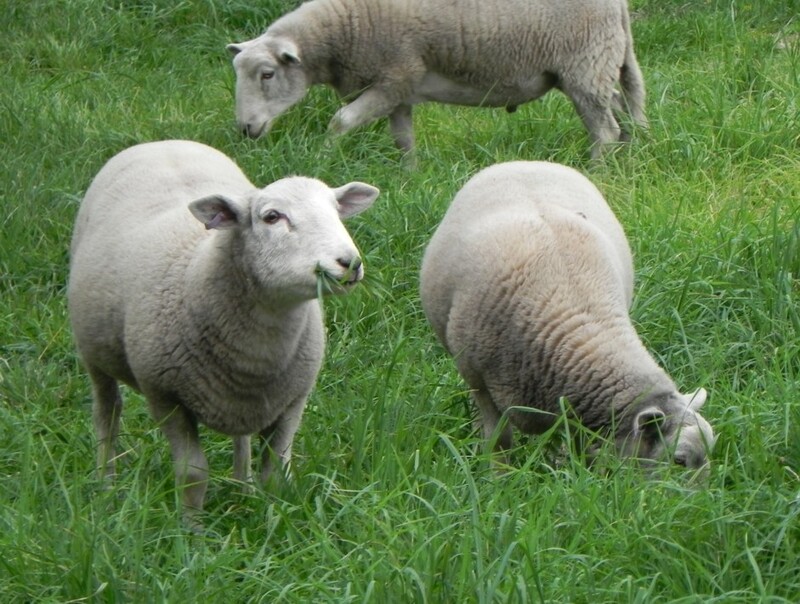 We love to see our animals taking mouthfuls of grass which are too large to completely fit in their mouths. Animal health – our animals are not adversely affected by intestinal worms because worm larvae that emerge from dung pats inhabit the soil and the bottom 2 cm of plants, and our animals don’t graze that low to the ground. 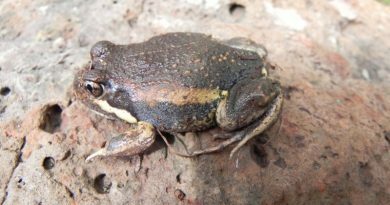 They are usually grazing 10 cm or more above the ground. Also, parasites like worms have a limited time they survive as larvae. Our paddocks are rested for 2-3 months, so the life cycle of the parasite is broken, that is the larvae die from exposure or are parasitised/eaten by other soil food web organisms before they have a chance to be ingested. In addition, intestinal worms usually only produce clinical impacts when animals are under stress, usually nutritional combined with environmental (cold and wet) and reproductive state (lambing or calving). These stresses are avoided with comfortable farming. Our animals also don’t suffer from metabolic diseases that come from nutrition problems, for example, grass tetany. When farms are overgrazed and rely on rainfall for a new flush of growth, young plants can have imbalances of micro elements that cause metabolic diseases. As Moffitts Farm’s paddocks always have a majority of pasture as established tussocks, not new young plants, these problems don’t occur. We have found that cattle and sheep on Moffitts Farm do not need any routine veterinary treatment, only occasionally will a health problem occur and the individual animal will be treated at that time. With new born animals, the sheep, we do believe it is important to vaccinate mothers and lambs to give the animals the best start in life. 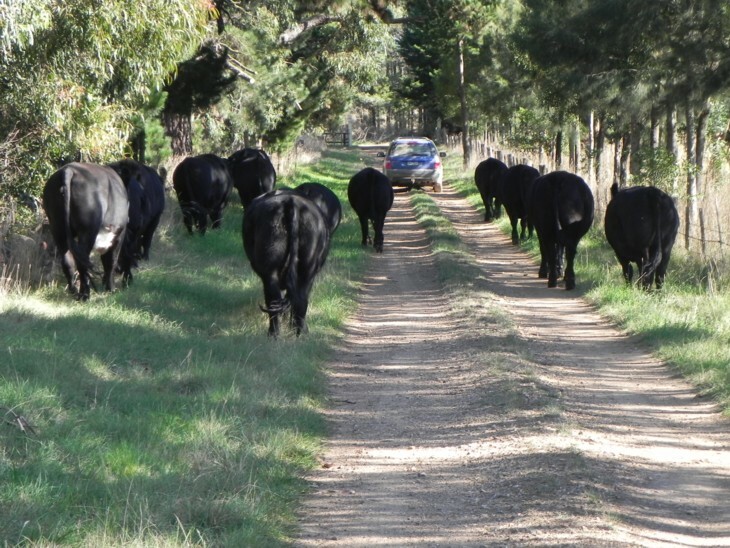 Example from the Department of Environment and Primary Industries (Victoria) website: Grass tetany has been the main cause of deaths of adult beef cows on farms in south-eastern Australia over the past 40 years. The disorder is associated with low levels of magnesium in the blood. Cows are at risk when herbage contains less than 0.2% magnesium or when the availability of pasture is less than 1000 kg dry matter/hectare. Generally, young grass and lush cereals have lower magnesium levels than older grass and cereal crops. 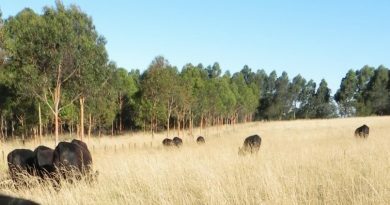 Shelter – All our animals have protection from the wind because of windbreak tree plantations around the property. 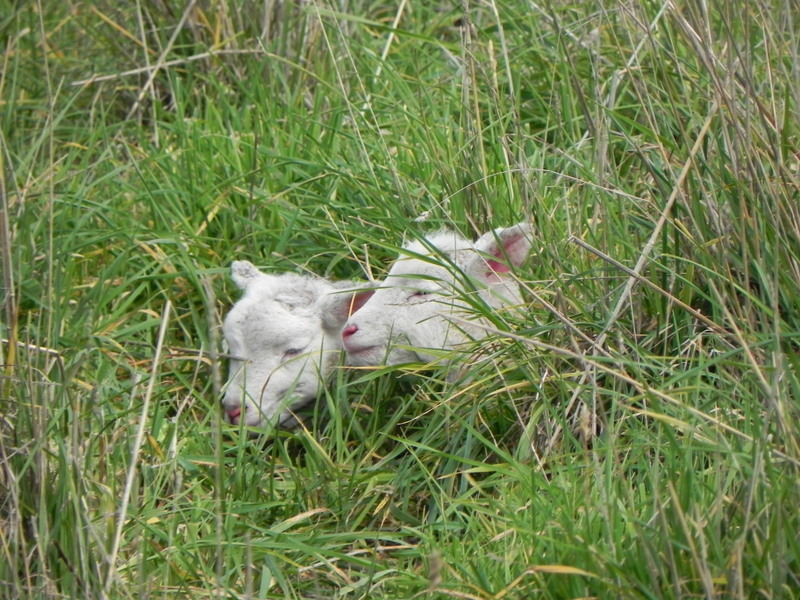 More importantly, the new born lambs have excellent protection from wind between the tussocks of grass. 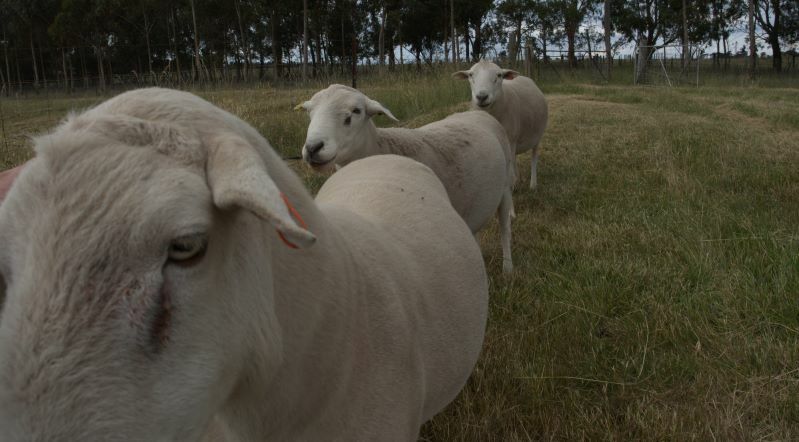 Deaths of lambs is a significant issue for farmers in Victoria and on the ABC News they will provide a ’sheep grazier’s warning’ in the weather forecast, when cold snaps occur around lambing times. 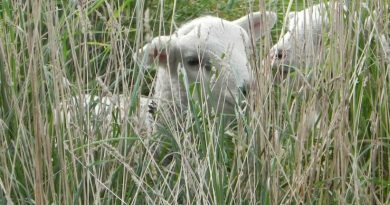 We have not ever lost a lamb due to poor weather and do not expect to, given the state of the pastures as shelter combined with good nutrition and large lambs that come from Wiltipoll sheep. Enhanced animal welfare is practically something that emerges from our comfortable farming system, that’s why it is comfortable. There is no extra stress or need to focus on issues of nutrition and shelter and health with this farming system, they are virtually eliminated as problems from our system.